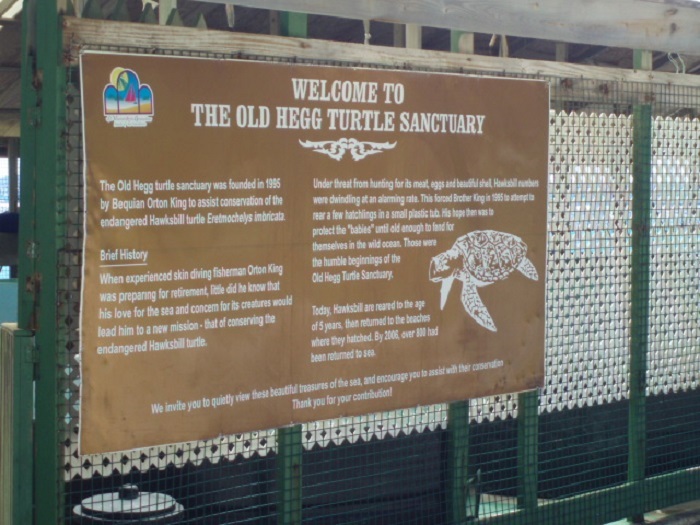 The Old Hegg Turtle Sanctuary is one single, privately run turtle sanctuary which is located on the second largest island in the Grenadines, Bequia, which forms the island nation of Saint Vincent and the Grenadines. As the owner of the sanctuary is sometimes criticized for the working practices, it is nonetheless a measure that is taken in a time when not a lot of people nor country officials would like to take some drastic moves. 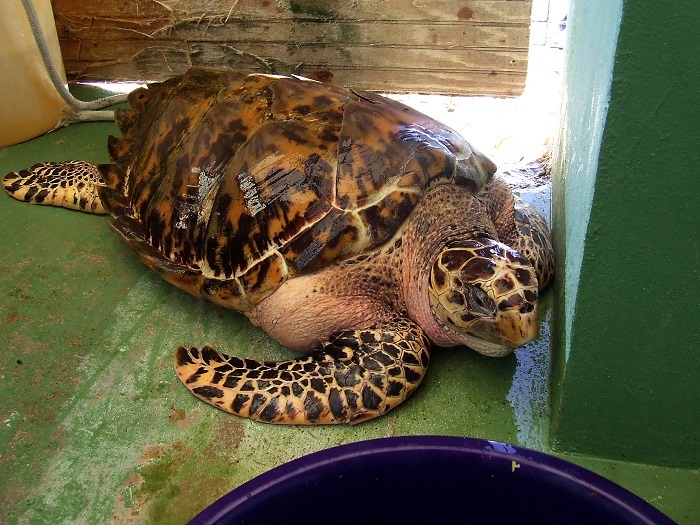 The owner, Orton “Brother” King, is trying to save especially the hawksbill turtle which is endangered, with hope that the numbers in the wild will rise and the turtle will be lifted from the list of endangered species. 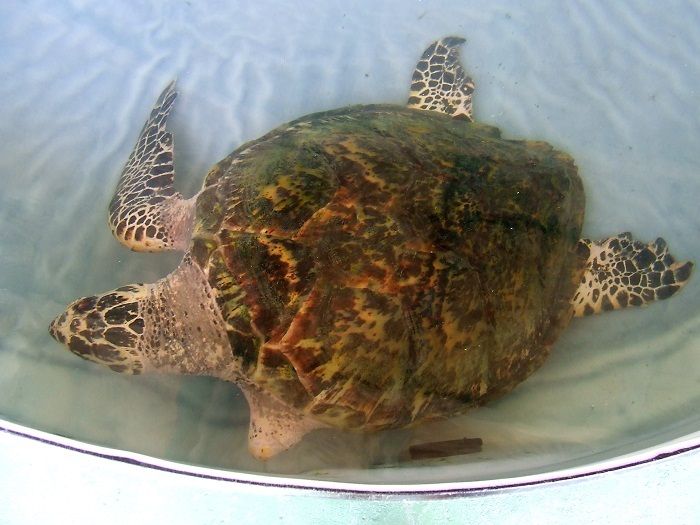 The premises of the sanctuary are mostly small concrete pools, where the owner keeps the turtles until certain age, which then are being released into the wild. 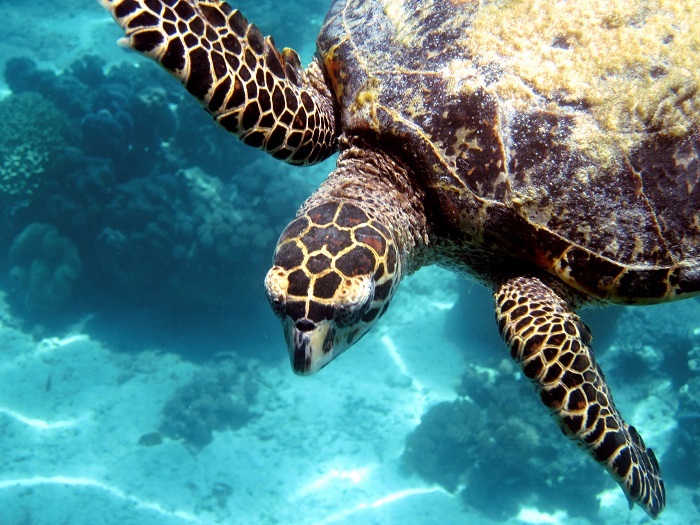 That is why he is monitoring the beaches around the island, checking the turtles’ nests while protecting them from the poachers, collecting hatchlings that are then moved to the safety of the sanctuary. 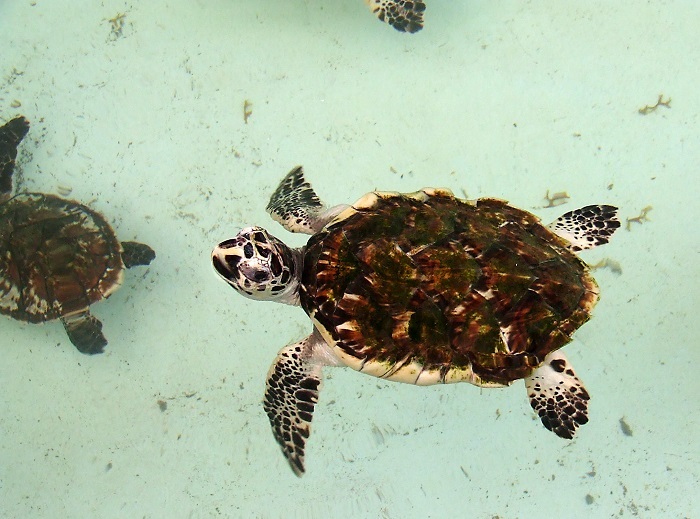 Statistically speaking, most of the turtles do not pass their first hour of life as they are killed by the birds on the beach, and if lucky enough to survive, their first year of life will be one of the hardest possible. 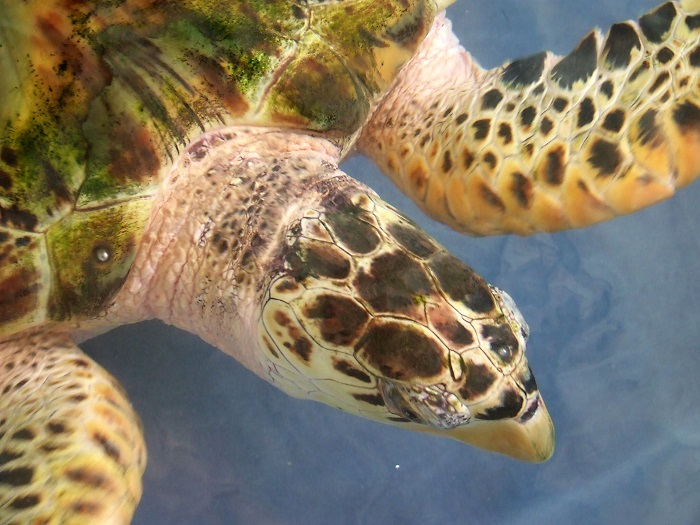 With the work of the Old Hegg Turtle Sanctuary most of them will be returned to the wild with hope that they will once again return to the island and nest too. 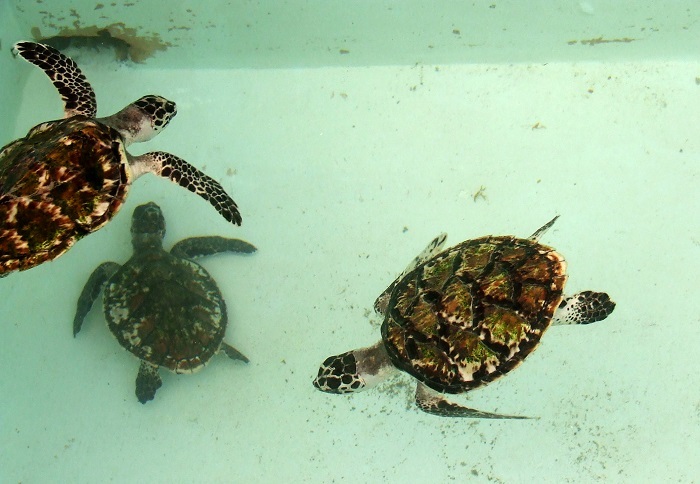 When the turtles hatch and get collected, they are being fed with canned tuna for six months, and after that small fish, mostly sardines till they are released. 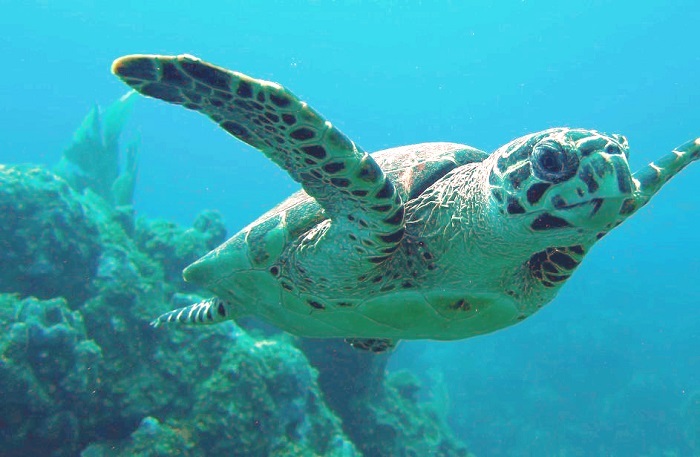 The turtles are held in captivity for 3 years, when they are later released into the ocean, allowing them to have better chances of survival. 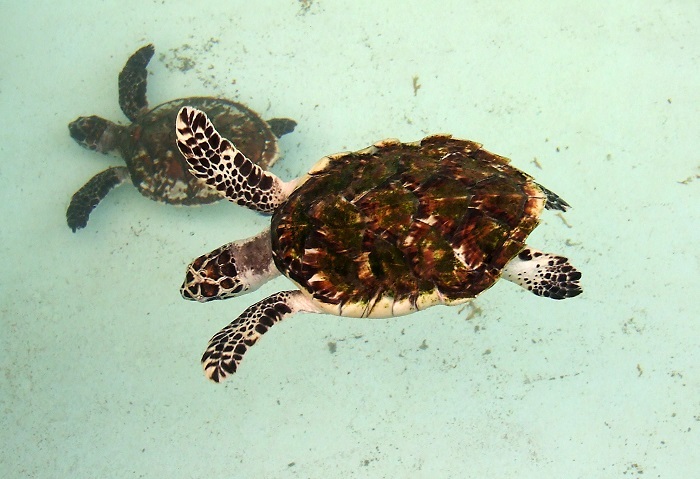 This has not been seen as a good technique by the environmentalists, and the owner has been criticized sometimes, however, it is a step towards preservation of the hawksbill turtles as we know them. 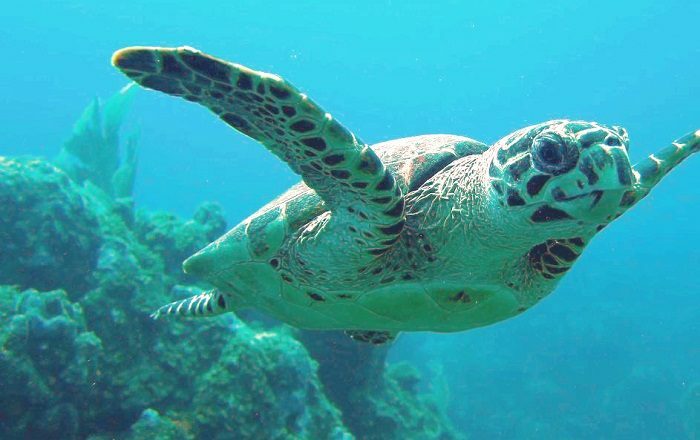 As the sanctuary has been operating for twelve years already, it has released thousands of marked turtles that have been spotted throughout the entire territory of Saint Vincent and the Grenadines, and even the neighboring island nations. 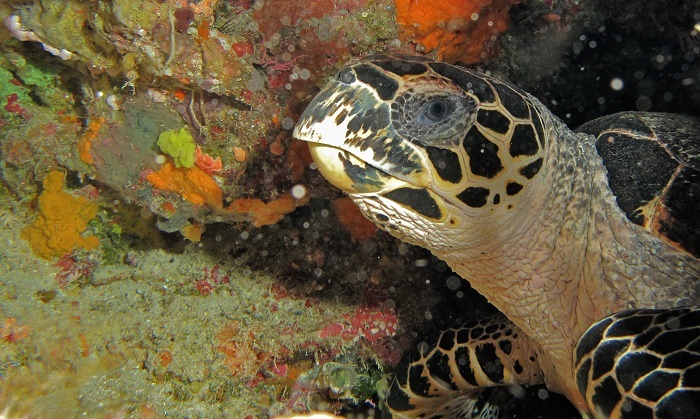 All in all, a courageous step which will bring the number of the hawksbill turtles a bit higher than what the biologists and scientists expect, with the possibility for even the regular people to be able to witness the, somewhat, miracle that is happening on the island of Bequia.